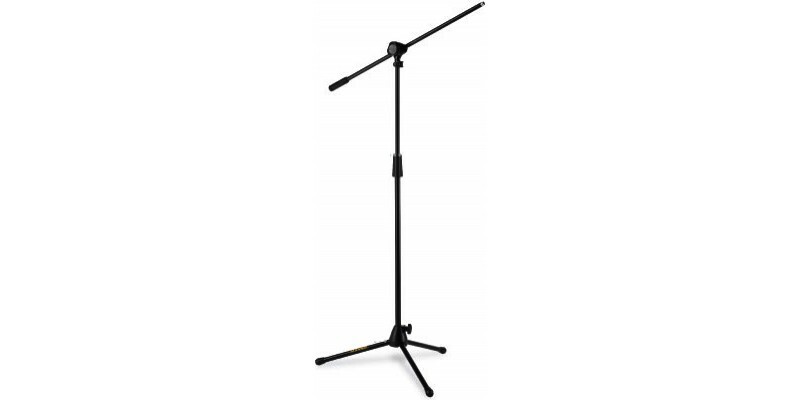 The Hercules MS432B Stage Series Microphone Stand is sturdy and built to last. This boom microphone stand id quick and easy to adjust. Hercules Stands for musical instruments are some of the best designed and built you can find. The Hercules MS432B Stage Series Microphone Stand has some special features that make it stand out. A 2 in 1 boom clamp lets you quickly and easily change the length and angle of the boom on this mic stand. A Quik-N-EZ Boom Retainer provides instant boom attachment. A Quik Turn clamp makes changing the height of the Hercules MS432B a cinch. This is a great value, high quality, excellent microphone stand.